Our Artist Are Very Gorgeous, Professional And Have Performed Many Shows in Delhi And All Over India. We understand the event; we have experienced the events, and lived the events. We are all about event enhancement and for which we provide best performers. Performers are as important as an event to us, that’s why we take care of them and train them in the best way so that they can charm your event easily. It is been a fantastic journey providing performers to our beloved clients and now it is time to grow more. 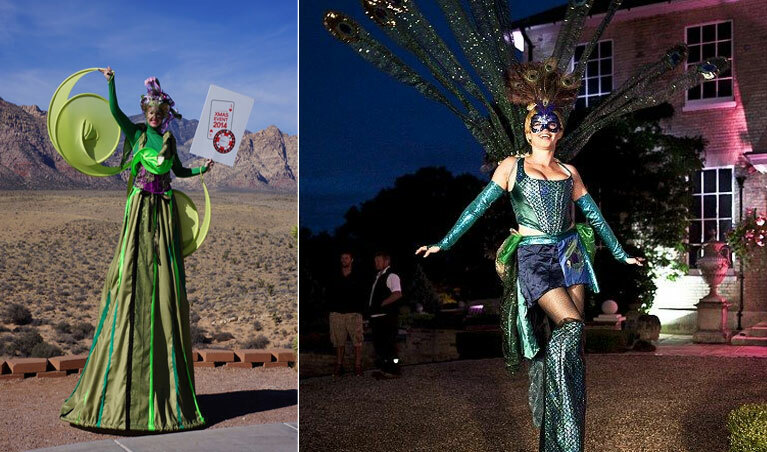 Stilt walkers are no ordinary artists, all depends on concentration and we provide stilt walkers for all events, which mean no matter if it is a fun loving part or a serious promotional event, they have to concentrate their every step and entertain as well! They are highly trained. We are also organizers for many events where we have provided everything which performer can demand, all is inclusive. When it comes to cost, we believe that cost is not as important as an event. Events can be a onetime thing for people and they could put much money for that, it is our responsibility to give the best! Stilt walking is no piece of cake, the practice day and night for that and have brought themselves at levels where few have reached. We also have celebrities in our crew who can make your event eye catching! With which people want entertainment. Kids love clown and a funny clown has been in demand since ages, we create custom planned plans for Customers and look forward to their satisfaction. Our team is very much dedicated to customers and do not return with a single complaint. The demand has been growing day by day, for which we have increased the specialized crew and have increased the reach of people working with us. We are great at handling and thus we also provide the whole party management. Be with us and we guarantee you to give a power packed performers who are filled with total enthusiasm and who do not let the party fade away so easily.